For more than a decade, the DSWA has studied how top-earning leaders in direct sales create and maintain their success. From how they use their time to how they nurture leadership qualities in others, we understand how they achieve the success others only dream of. Unveiling the truth about leadership within our profession is great only if we can also offer practical, proven solutions that effectively address the challenges. So the ELITE Leadership Faculty went to work to "demystify" the role of a leader within direct sales and now share them through the ELITE Leadership training. The results have been truly life-changing! 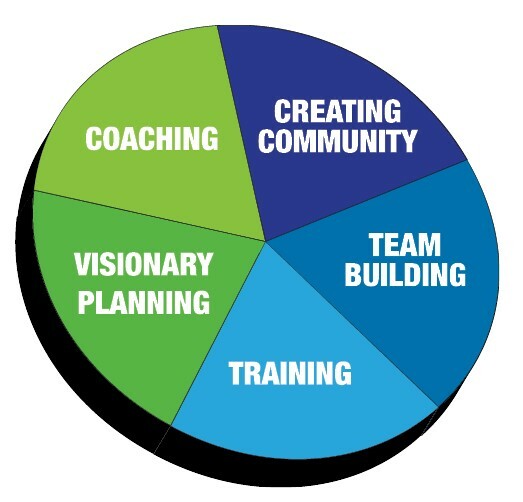 Beginning team members with a desire to create a solid foundation of high-quality leadership skills. Veteran sellers looking for the spark their team needs to achieve the next step in their success journey. This innovative program consists of a 3-hour ELITE Leadership® training and an optional 2-hour Principle-Centered Coaching® workshop. Your time will be filled with interactive exercises, the 5 key elements for leadership success, and action steps that you can take to immediately apply all that you learn. Get in touch with us to learn about hosting an event for your team with Nicki, Grace or one of the DSWA Certified Trainers! Who this is for: Established direct selling leaders. Live ELITE Leadership is an action packed two days for direct sellers with a desire to increase their sales, grow their organization, expedite their personal rate of rank advancement, and take their business to the next level and beyond. This express training combines interactive exercises with valuable self-reflection for a life-enhancing experience you will remember. Throughout the event you will receive personal training & coaching. This is a unique chance to connect with other successful leaders and access DSWA's ELITE Leadership material for rapid learning that creates rapid results. Length: One year of access to complete your certification at a speed that works best for you! Who this is for: Direct sellers of all levels, from brand new to top-earning. Explore all 6 ELITE Leadership modules in-depth, including one module exclusive to Certification - Business Management. By offering both live and recorded training, you get to choose when to learn and how fast. Bonus learning resources: Build it Big and More Build It Big eBooks and the Build It Big eWorkbook delivered to you via email. Graduates earn an industry-recognized ELITE Leadership Certification which we encourage them to display proudly in their business materials and communications. We want to hear from you! Call us at 888-417-0743 x103 or email us elite@dswa.org.